Almonds are one of the most popular nuts that you’ll find in the health aisle of your food store: They are one of the most popularly cultivated crops that are native to areas like the Mediterranean – though they are today cultivated in many parts of the world including in the United States, which produces several thousand tons of the miracle nut every single year. There are plenty of reasons why you should be including almonds in your diet, including the fact that they are filled with vitamins, contain plenty of fibre and contain plenty of the good fats that your diet really needs. If you want to live a healthier life, you should start with a healthier diet – and the almond is one of the healthiest nuts in the nut family. 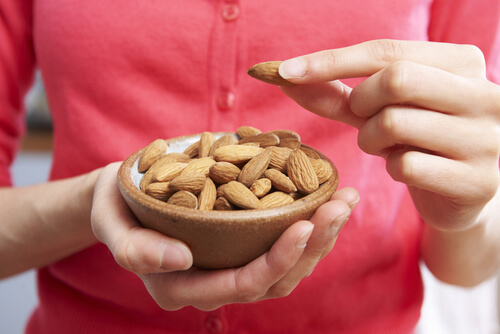 Here are 15 refreshing benefits of almonds – and 15 great reasons why you should add them to your daily diet. 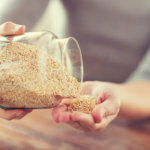 Wheat intolerance (also known as celiac disease) is a health condition which affects thousands of people across the United States every year, and people have only recently started to see it as a general food allergen – which means that manufacturers are compelled to list it as an allergen on the food label of any products you buy. You should keep an eye out for “gluten” and “wheat” as an ingredient if you have shown any kind of allergy-like symptoms (like a fever, running nose or red, swollen eyes) after consuming wheat. What makes almonds great for wheat intolerance? There are plenty of snacks that can be crafted from nut flours instead of the traditional wheat-based flour if you happen to be allergic. While most flours aren’t simply just ground up almond, the base of nut flowers are often macadamia or almond nuts – and you can get back to baking to your heart’s content without having to worry about your allergies.